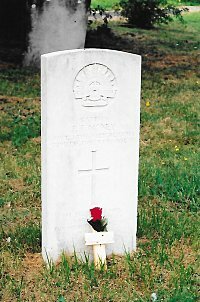 One of the 83 Australian casualties of the First World War buried in Melcombe Regis Cemetery, Weymouth is that of Captain Percy Frederick Money, 3rd Australian General Hospital, Australian Army Medical Corps. His inscribed CWGC headstone reveals that at the time of his death in 1916, he was 60 years of age. It is now well-known that many underage young men added a year or two to their age to ensure that they could serve King and Country in the First World War. Percy Money had no reason to be economical with the truth about his age. He was born on the 5th November, 1856 at Thaxted, Essex the son of Frederick, a physician and Amelia Money. When he was 4 years old the family moved from Essex to Brighton, residing at 63 Gloucester Place where he father continued to practice medicine. Percy was educated at Taunton College and followed his father into the medical profession qualifying as an MRCS and LRCP. His father helped Percy to set up a medical practice in London where he engaged a housekeeper, Emily, to manage his household and domestic affairs. Whilst working in London he joined the Artist Rifles, which had been formed in 1859 and a year later were titled the 38th Middlesex (Artist) Rifle Volunteer Corps. Percy served with them for eight years by which time he had been promoted to Sergeant. There is a period in Percy's life in which the precise, sequence of events have been blurred by the passage of time. He began a relationship with his housekeeper, Emily who he subsequently married, to the displeasure of his parents. Later another woman, Ellen Corbin a patient of Percy's became a member of their household. This triangular relationship proved to be a recipe for discontent and tension between the three adults resulted in Percy and Emily separating. He did not completely abandon his responsibilities, towards Emily and gave her an allowance of £4 per month. Seeking perhaps a fresh opportunity Percy accompanied by Ellen emigrated to Australia in June 1895 embarking at London for Sydney on the S.S. Orient. Emily also made her way to Australia, when it is not clear but she settled in Sydney. After their arrival, Percy and Ellen lived together in Sydney as man and wife. He opened a medical practice there and later spent some time in New Zealand before returning to live in a suburb of Bowen Hills in Brisbane. In December 1915, Percy applied to the Australian Imperial Force for a commission in the Australian Army Medical Corps at the age of 59. He was then described as being 5ft 7½ins in height, weighed 144lbs, had a chest measurement of 34ins-37ins, good eyesight and was recommended by the District Commandant to be appointed a Captain for General Reinforcements AAMC on Transport Duties. His application was approved and he was posted to the Transport Ship 'Kyarra'. On the 3rd January, 1916, the day on which his appointment to Captain was gazetted he embarked for Egypt from Brisbane on the 'Kyarra' as Transport Medical Officer. At the beginning of March he departed from Suez on the Transport Ship 'Argyllshire' for Melbourne where he disembarked on the 30th. After a short period of leave he was assigned to the 1st Military District, Brisbane with responsibilities for the care of patients in the bases and camps in the area. Towards the end of May he was informed that he was to be transferred to the 2nd Australian General Hospital at Tel-el-Kebir, Egypt. This appointment may have been cancelled as by the beginning of July he was attached to the 3rd Australian General Hospital at Alexandria. By the end of that month he had embarked on the troop ship 'Arcadian' for the United Kingdom. After arrival in England he was posted on the 19th August to Perham Down, Andover and taken on the strength of the 1st New South Wales Training Battalion who were based there. At the end of November he was transferred from Perham Down to No.2 Australian Command Camp at Weymouth, which would sadly prove to be his last appointment as a Medical Officer in the AAMC. At the age of sixty his medical duties and travelling from southern warm climates to the northern cooler ones began to affect his health. 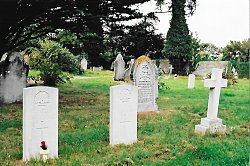 During December he contracted a chill which gradually worsened and he was admitted to the Princess Christian Hospital, Weymouth, where he died on the 22nd December, 1916. 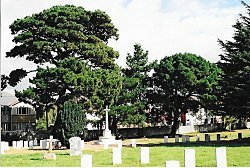 Captain Percy Money was buried with full military honours a week later on the 29th in Melcombe Regis Cemetery ~ Grave Location: Section III, Row C, Grave 2672. The funeral service was conducted by Captain the Reverend R. Pitt Owen. A large congregation of people gathered in the cemetery and around the grave side. In his short address the chaplain said: "... that they were gathered round the grave this day to do honour to one who, though 20 years past the statutory military age, was bravely willing to come out and do his little bit for his God, his King and his country in this great and terrible war. His noble service which he gave so unselfishly and so ungrudgingly at the Depot would long be remembered by those who came under his kindly care. May God grant to his soul rest and peace." Percy's name is also inscribed on the Australian War Memorial, Canberra on Panel 183. The Base Records Officer and his staff in Melbourne had an onerous duty in communicating news about Australian soldiers and of the casualties to their families and the next of kin. It must have surprised the Base Records Officer that after the death of Captain Percy Money the settlement of his affairs would be complicated by the two women in Percy's life, Emily and Ellen. On entry into the Australian Imperial Force Percy had nominated his wife as Ellen Elizabeth Money who, in fact was his unmarried wife. Her real name was Ellen Elizabeth Corbin and was living with Percy in Winchester Street, Hamilton, Brisbane, Queensland. She had written to the Base Records Officer on the 8th January, 1917 about Percy's personal effects, mentioning that he had died at Weymouth in December 1916. Unaware that he had been ill and shocked by his death she was anxious to have returned to her as quickly as possible his 'valuable' belongings and was willing to pay for any expenses incurred. Writing again on the 24th in a more belligerent tone that she knew nothing of his illness, let alone his death and she supposed that he was returning to Australia. Protesting that her husband had been detained in England for the Transport Service at Perham Down she alleged that he had requested to be returned to Australia for health reasons. Ellen continued: "I consider my husband was grossly imposed upon since the Military Authorities could have put a younger man to stand the rigours of an English Winter and put a man of sixty in a climate more suited to his health ..." She was less than complementary about the fact that Percy had been referred to in official communication as 'Captain Money' and not by Captain P.F. Money A.A.M.C. Ellen was also insistent that she was not going to be 'fobbed off' by those stiff cards 'your communication received and will receive due attention etc.!' She was still most anxious about his effects. Many soldiers had returned from Weymouth and in her opinion Percy's personal belongings could have come back with them. She ended the letter by apologising for causing any trouble! Emily Jane Money, Percy's legal wife wrote on the 7th February to the Australian Army authorities seeking information about how to claim her husband's deferred army pay. She gave personal details about him and that he had died in England. Emily also mentioned that her husband had been living with a woman in Australia for a number of years and she had taken his name. She went on: "... I fear his so-called wife will usurp me in many ways. I can swear before God that I am the lawful wife of Percy F. Money and have a copy of the marriage certificate and supporting identification documents." According to Emily's solicitor Percy had made no provision for her other than a Life Assurance policy. All she had had from her husband was an allowance of £4 per month up to the time of his death. In a follow-up letter Emily apologised for not mentioning she had applied for Percy's pension. She had also found out that he had assigned his Life Insurance policy of £500 to Ellen six years previously and urgently requested the authorities to grant her the pension as she was practically destitute. She was living at the time of her enquiries at 136 Foveaux Street, Sydney, New South Wales. The military authorities were sympathetic to her situation and granted her a pension payment of £3 17s 6d per fortnight as from the 11th January, 1917. The Base Records officer received a letter in February, 1917 from the A.A.G. 2nd Military District concerning Captain Percy Money. A lady (Ellen) who was recorded as being the wife of Captain Money had been in communication with the A.A.G. They also had received a letter from another woman (Emily) who claimed to be his legal wife. The A.A.G. requested the Base Records Officer to make discreet enquiries about the status of the two women and whether Emily was legally entitled to be recorded as the wife. Whilst the Base Records Officer was making enquiries for the A.A.G., Ellen had forwarded to him more information. She told him that when Percy was a young man his father had set up a medical practice for him. He had a relationship with his housekeeper (Emily) and had been forced by his family to marry her. According to Ellen they lived together unhappily for some time and later separated, adding that Percy paid her an allowance of £4 per month. Ellen left England with Percy about 20 years previously and they lived together as man and wife. They subsequently had nine children four of whom were still living. The Base Records Officer was able to inform Ellen in October 1917 that some of Percy's effects had been auctioned after his death which raised £6 9s 6d of which £5 2s 6d was deducted for his mess bill and that a further 3½d for poundage, the remainder was credited to the estate of the deceased. Articles of sentimental value were sent to the AIF Kit Store in London for onward shipment to Australia. Letters from Emily and particularly Ellen continued to keep the Base Records Officer busy. His main difficulty was establishing the facts about the two women and the time lapse in sending and receiving correspondence from the United Kingdom. Pension payments had been granted and another consideration to be settled was to whom the War Gratuity payment should be paid Emily or Ellen? The Base Records Officer was by the early 1920's satisfied that the information given to him by Emily and Ellen was correct. He established that Ellen Corbin had visited Percy's surgery in London in a distressed condition. For compassionate reasons he let her stay at his house - with Emily's approval - until she had fully recovered. Percy and Ellen developed between them a close relationship and he and Emily separated. Although there were some grey areas which required investigation the resources available to the Base Records Officer were diminishing for him to pursue them further. He therefore made a decision of 'Solomon' to bring about a resolution concerning the affairs of Captain Percy Money. The War Gratuity payment was divided on an equal basis between the two women. A similar policy was adopted regarding the disposal of the campaign medals awarded to Percy. Emily, the legal widow received the bronze memorial plaque and "Where the Australians Rest" Pamphlet in 1923. Ellen, as the unmarried widow received the British War Medal 1914-1920 and the Memorial Scroll in 1922. Ellen was still writing to the Base Records office in 1927 about the 1914-15 Star and the Allied Victory Medal 1914-1919. Percy was not entitled to either.